THE AWAKENING – Chapter 1: Regardless of your circumstances or nationality or cultural heritage, there are certain questions that are fundamental to your existence here. And once certain requirements of life have been met—the basic requirements of food, clothing, shelter and security, and some psychological requirements of relationship, companionship and employment—then you come upon a greater set of needs. Some people will only come upon these greater needs later in life, after they have tasted the pleasures and sorrows of the world sufficiently that they realize there is no fulfillment there for them. While work and relationships and family are important, there is something more important that begins to emerge in their lives. THE FREEDOM JOURNEY – Chapter 2: Spirituality is fundamentally a quest for freedom—freedom from certain things and freedom for certain things. Seen in this way, the picture becomes more complete. For you have a greater destiny in the world, a greater purpose for being here, a purpose that you are not living now, despite your definitions and proclamations. It is to free you from the life that you are living now to prepare you for a greater life in service to the world that represents the core and essence of all spiritual development. THE PRISON – Chapter 3: You are aware of prisons. They are places where people are incarcerated and neglected and often abused. They are places where people are taken away from normal life and placed under severe limitations and supervision. They are places where people lose contact with the outside world and are often forgotten and overlooked. Today We speak of the prison within yourself, that which locks you in and holds you back and takes you out of life and separates you from that which you love, that denies you your destiny and your freedom. A prison without walls, without bars, without guards, an invisible prison, the prison in your own mind. THE REVOLUTION – Chapter 4: You were born with two minds, the mind that God created and the mind that has been shaped and conditioned by the world, your worldly mind. At this moment, you have these two minds. The worldly mind you are probably very familiar with since it dominates you almost a hundred percent of the time. That does not mean you are fully aware of it or all of its thoughts and impulses, for people are very afraid to go to experience certain parts of their worldly mind—the dark and fearful parts, the dangerous parts, the mysterious parts. THE TURNING POINT – Chapter 5: Once you begin to become really honest with yourself about your life and affairs, no matter how painful this recognition might be in the moment, it marks a turning point in your life—a turning point where you begin to see things more clearly and are more willing to see things more clearly, to be more honest with yourself about your engagements with people and about your plans and goals, and even eventually about your fundamental beliefs, which are rarely questioned honestly. THE GIFT OF A NEW LIFE – Chapter 6: God’s New Revelation is not here to simply add value to your current existence or to validate your current ideas and pursuits. It is not here to validate the world’s religions or to conform to their beliefs or expectations, for God is not bound by these things. It is not here to validate your expectations, for the Creator of all the universes is certainly not bound by this. 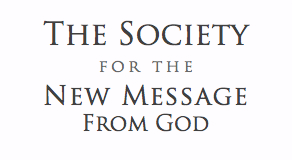 Really, the New Message from God is here to provide a new life to those who can truly respond to it and to give them a greater foundation upon which to build a meaningful life—an inspired life, a life that is guided by Knowledge, a life of true relationships and meaningful engagement with the world. THE JOURNEY TO A NEW LIFE – Chapter 7: Life begins anew with the New Revelation. It is like a new lease on life. It is a new promise. It is a New Revelation from God, given now with the Great Love of the Creator, given now with deep compassion for humanity’s predicament, difficulties, troubled history and destructive tendencies and so forth. It is like having a new beginning for each person who can respond and for the world, which has now been touched once again by the hands and the Love of the Creator. YOUR PURPOSE AND DESTINY – Chapter 8: There is a greater purpose for you in the world, a greater purpose that has brought you into the world, a greater purpose that is meant to serve the world that you see and the world to come. The reality of this purpose—its meaning and its expression—exists beyond the grasp of your intellect. It is something that resides deep within you. God has placed it deep within you, within a deeper Intelligence within you, an Intelligence that is called Knowledge. BUILDING THE BRIDGE TO A NEW LIFE – Chapter 9: At a certain point, you will come to realize that this New Revelation is here to give you a new life. It is not simply to make improvements, or to sweeten it with a sense of spiritual meaning, or to condone your thoughts and beliefs or past actions with some kind of blessing from above. COURAGE AND THE WILL TO PREPARE – Chapter 10: The mind is weak. Beliefs are easily challenged. Emotions are easily aroused. In the face of travail, one can lose heart and be easily discouraged. This is why people run from the truth, not because what they are facing is untrue, but because they do not have the strength to abide with it.